Family and friends are mourning the death of Kim Porter. E! News has learned the model and actress was found dead in her bed at her Los Angeles-area home Thursday morning. Authorities were called and Porter was pronounced dead at the scene at 11:40 a.m. She was 47. 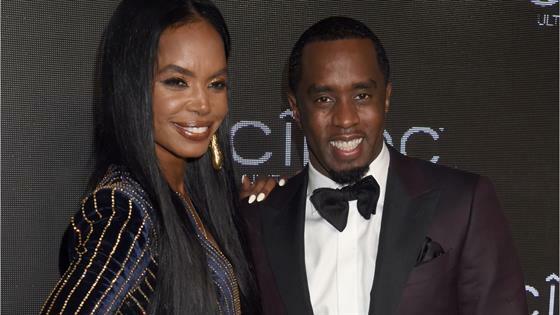 "Sadly, I can confirm the passing of Kim Porter," Diddy's rep shared with us. "I ask that you give the families privacy at this time." According to TMZ, the emergency dispatch call came in as a patient in cardiac arrest. A source also shared with E! News that Kim had been suffering pneumonia and had been seeing a doctor. At this time, however, it's too soon to determine the cause of death. A witness at the scene of Kim's home spotted a stream of friends and family members coming through the home including Kimora Lee Simmons. NBC Los Angeles also spotted Diddy at the residence late Thursday afternoon. As the sun began to set at Kim's home, detectives told the media that police "do not suspect foul play." In addition, Diddy was "extremely cooperative and understandably upset" when speaking with detectives. Kim previously dated Diddy for 13 years and broke up for the last time in 2007. They remained on friendly terms with Kim sharing a photo of Diddy on Instagram earlier this month. "Diddy and Kim had maintained a great relationship over the years and were great co-parents," a source shared with E! News after the tragic news broke. "Despite their differences, they always made things work for their children." In an interview after her split, Kim shared in her own words just how close their family would remain even if their romantic relationship was over. "We may be apart, but we'll always be together as a family," she once shared with OK! magazine. "It's not a situation where two people break up and they can't stand each other. We're still friends so it makes for an easy breakup." For those who may not recall, the couple had three kids together including their son Christian, 20, and 11-year-old twin daughters D'Lila Star and Jessie James. Diddy also helped raise Kim's son Quincy Brown, 27, from a previous relationship with singer/producer Al B. Sure. Quincy has gone on to have a career in Hollywood through acting and music. A source shared with E! News that Diddy is flying Quincy back to Los Angeles on a private plane. In addition, Lil' Kim is also flying out to be with the family. "HAPPY BIRTHDAY @diddy on this day a GENIUS was born, may you continue to be the Driving Force of ENERGY that GOD created you to be!!" Kim previously wrote on Instagram. "Thank you for giving me the best gifts of life our CHILDREN !!" Fans may recall Kim appearing on shows including Wicked Wicked Games and a guest-star role in Single Ladies. She also made an appearance on Diddy's show I Want to Work for Diddy. But perhaps her greatest role was being a mom to her children. "Kim is an incredible mother to our children. We've been part of each other's lives for many years and I have always admired her courage and strength," Diddy previously shared with JET magazine. "We're the best of friends." Our thoughts and prayers go out to Kim's family during this difficult time.